With the announcement by Disney last week that John Lasseter’s previous role of Chief Creative Officer was being split into two separate roles (one to lead Pixar and one to lead Walt Disney Animation) many may be once again asking the questions: What is the difference between Pixar and Walt Disney Animation? Since Disney acquired Pixar, aren’t they they the same thing now? No, they are still very different studios with distinct personalities and priorities. Known for Disney classics like Lion King, Beauty and the Beast, Pocahontas, Aladdin, as well as modern CGI-animated classics like Frozen. Their most recent film was Moana (2016). Known for films and film franchises like Toy Story, Monsters Inc., Finding Nemo, Cars, The Incredibles, etc. Their most recent film was Coco (2017). Known for straight-to-video sequels to classic Disney films, such as Aladdin: The Return of Jafar, Lion King 2: Simba’s Pride, The Lion King 1 ½, Mulan II, The Hunchback of Notre Dame II, etc. They were also responsible for A Goofy Movie, Planes, and Tinkerbell film series. Their most recent film was Planes: Fire & Rescue (2014). Now DisneyToon Studios is a whole other story… so today we will just be covering the differences between their two lead studios: Pixar Animation and Walt Disney Animation. Pixar films are original stories that always ask “Wouldn’t it be cool if…. ?” while Disney Animation films are based on ‘Once upon a Time’ fairy tales, books, and historical figures. Think of Pixar’s Toy Story, Monster Inc, or Inside Out. Each ask respectively “What if toys could talk?” “What if there were monsters in your closets and it was a business?” and “What if there were anthropomorphic emotions inside your head?” And then look at Walt Disney Animation’s films Snow White, The Little Mermaid, and Pocahontas. The first was based off of a 19th-century German fairytale, the second based off of Hans Christian Andersen’s 1837 novel, and the third based off of the life of a real-life Native American princess in the early 17th century. Until Meet the Robinson’s in 2007, Disney Animation was all hand-drawn animation, and Pixar was CGI animation. And that was that. But then Walt Disney Animation adopted the practice of computer-generated animation, and everyone was forever confused. But there are still ways to distinguish the two. If you watch a Pixar film, you will notice a more realistic feel, with textures and color palettes that suggest these worlds are real. Pixar characters also have very expressive faces, even if it makes them look ugly at times.Meanwhile with Disney, you can expect to see big eyed characters, who show emotion, but not to the extent that it distorts their face. Pixar is known for having more relatable characters, in that these characters have flaws. 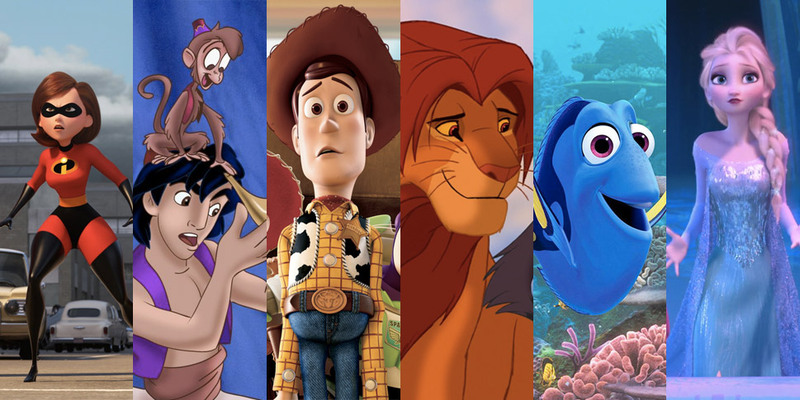 Characters like Woody in Toy Story, Lightning McQueen in Cars, and Marlin from Finding Nemo are often short-tempered, self-centered, and sometimes mean, but we still love them. There is also a less definitive line between good and evil as there is with Disney Animation films (although Frozen pushed the boundaries for Disney Animation). The characters in Disney Animation films are not innately flawed, but bad behavior is excused because they are fighting external forces. They also are often in love, engaged in a romance, such as Tangled and Frozen. Meanwhile Pixar characters can be married like Mr.and Mrs Incredible in The Incredible’s and Riley’s parents in Inside Out. Starting with Walt Disney’s first animated feature Snow White in 1937, up to Walt Disney Animations most recent feature film Moana, their films have modeled Broadway musicals. Complete with a score and catchy songs sung by the main characters, Disney soundtracks have become a part of pop culture, and garnered multiple Academy Award nominations for Best Score and Best Song. Starting with Pixar’s first film Toy Story in 1995, Pixar decided that unlike Disney Animation, they would not make all their films into musicals. Instead they hired Randy Newman to write and perform song like ‘You’ve Got a Friend in Me’ for their soundtrack, and Newman has since scored eight different Pixar-Disney films. But Pixar has not counted out musicals entirely. Last year’s Coco came very close, so we may someday see Pixar test their musical chops! 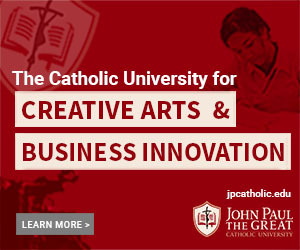 The two studios have entirely separate campuses in different areas of California. Walt Disney Animation remains at the same studio that Walt Disney established in Burbank, CA, within Los Angeles county. Meanwhile, Pixar is located in Emeryville, CA, near the San Francisco bay and east of San Francisco. Having two different locations, and with the companies having two entirely different staffs, they often attract certain types of people. People who want to live in the entertainment center of the world may work at Disney Animation, while people who want to live in the tech center of the world may work at Pixar. Now this is what has made it complicated. Up until 2005, these were two separate studios: one which used hand-drawn animation and one that used computer graphic animation. Pixar films were distributed by Disney, but were not yet owned by them. But when Disney acquired Pixar in 2006, it made John Lasseter from Pixar the Chief Creative Officer of all three animation studios, while it made Ed Catmull the President of all three studios (both men had been with Pixar since its creation in 1986, when it went from the computer division at Lucasfilm to a seperate animation studio owned by Steve Jobs). When this happened both Lasseter and Catmull actually saved Walt Disney Animation, as many thought Pixar and Walt Disney Animation should just merge. But the two men made it clear that they wanted to keep them seperate, and reinvent the Walt Disney Animation Studio. They also expressed that they wanted to revitalize DisneyToon Studios, given that the home video craze of the 1990s was nearly dead. But since the ousting of John Lasseter this month, as of last week Disney appointed Jennifer Lee (co-director of Frozen) as the head of Disney Animation Studios, and Pete Doctor (director of Up, Monsters Inc. and Inside Out) as the head of Pixar Studios. By splitting Lasseter’s previous role into two, it is now more clear which is which, and there will be direct creative leadership for each respective studio. Meanwhile, on the business side, Catmull is still president of both (reporting to Alan Horn, chairman of Walt Disney Animation Studios). As the studios continue to grow more similar, it will become increasingly harder to tell them apart. But keeping to their company’s identity, you can expect there will always be some differentiation. And now you know the differences! So the next time someone mistakenly identifies a Disney Animation film as being made by Pixar, you can be the first to correct them! Katherine Sanderson currently resides in Los Angeles, CA. Originally from Colorado, she graduated with a BA in English from Santa Clara University in 2014, and is an alumna of the JPCatholic MBA program (Class of 2016). Her professional aspirations are in children/family entertainment, especially animation. For more articles by Katherine, click here.